Pregnancy week 35 is crucial for all to-be mothers and especially for first time mothers. What seemed like a distant dream will now be a reality in just a few weeks. Your baby is growing and is gearing up for delivery. In the same way you need to keep yourself healthy for the moment of labour and delivery. Worrying about these things is natural. However, do not get carried away. Your mental disposition at this time will have a direct bearing on your unborn child. Pregnancy symptoms in week 35 are an indication of the fact that baby is growing steadily and is continuing to gain weight. It will also grow in size. 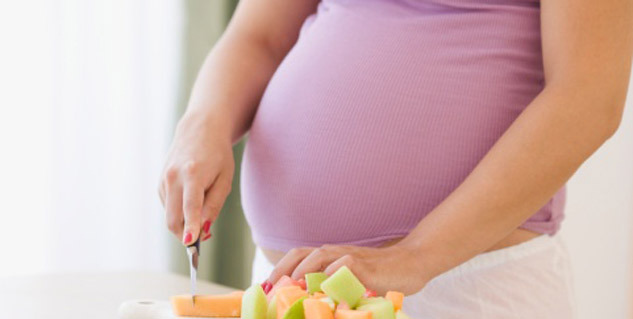 Pregnant mothers at this stage of pregnancy need to continue their healthy diet and also keep a tab on foetal movement. By the time you are 35 weeks pregnant, baby development will mean that your unborn child now weighs about 2.5 kilograms and is about 18 inches long. The baby’s lungs are completely formed. S/he will have a fully functional liver and also a pair of kidneys. Your baby will develop a daily activity cycle by the time you are 35 weeks pregnant. This is because light will now reach the baby through the thinning wall of the uterus. Your baby will respond to voices because her/his ears are fully developed. Now is a great time to bond with your child. Research has also revealed that an unborn baby responds more to high pitched sounds. Had your baby been born during the thirty fifth week of pregnancy, it would have a 90 percent chance of survival. You will continue to gain weight. There is no cause for alarm as your baby needs all the nutrition. By now you must have gained around 30 pounds. A dominant pregnancy symptom in week 35 is urine leaks. This happens because of any pressure put on the bladder. Although it might cause some embarrassment, do not worry. Talk to your doctor and he will suggest kegel exercise. This will strengthen your pelvic muscles and will also later help during childbirth. As there is less amniotic fluid in the uterus, now you will be able to see the protruding limbs and head of the baby when it stretches or moves! You will have problems during breathing. For relief there are exercises that you can do. For example, get on all fours and deep breathe. It will allow increased passage of air. Continue your prenatal vitamins and other calcium and iron supplements. Maintain a record of all foetal movement as it will help your doctor in monitoring the progress of baby development. If you feel any problems such as ill breathing and constipation, it is necessary for you to immediately call your doctor. Monitoring your pregnancy week by week is important for you at this stage as it will help your doctor monitor your baby’s and your progress. Now is also a good time to talk to your family and your partner about any apprehensions that you might have.